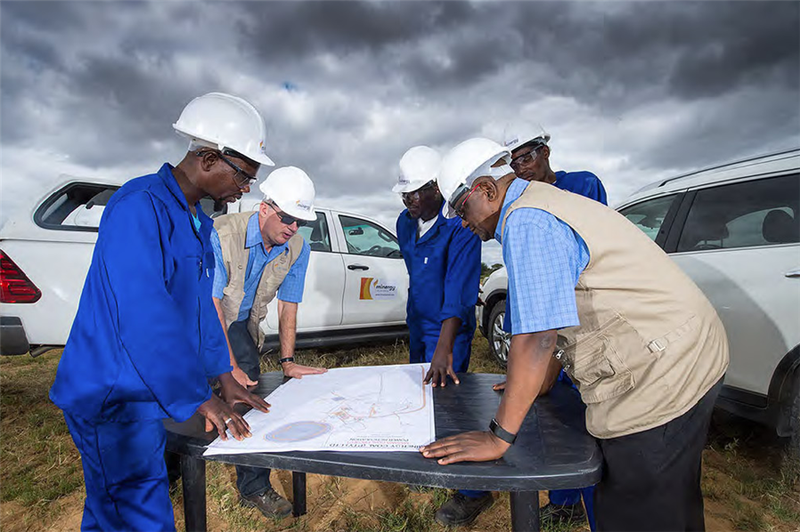 GABORONE, Aug 29 (Reuters) – Botswana's Minergy Limited said on Wednesday it has started construction at its Masama Coal Mine, which is set to be the country's first privately-owned coal mine, following government approval. Botswana has an estimated resource of 212 billion tonnes of coal but has only one operating coal mine, the state-owned Morupule Coal Mine that produces 3.5 million tonnes a year. Minergy chief executive officer Andre Boje said that commissioning of its 400 million-pula ($37 million) Masama Coal Mine is scheduled for January 2019, and production of first saleable coal slated for the following month. Most off-site construction for Masama mine, which will produce 2.4 million tonnes a year, is already complete with some of the funding already secured. "Minergy is now able to break ground," Boje said. In November 2017, Boje said the company – which will export its coal to South Africa and Asia – will list on AIM on the London Stock Exchange after receiving a mining licence.